Oh. 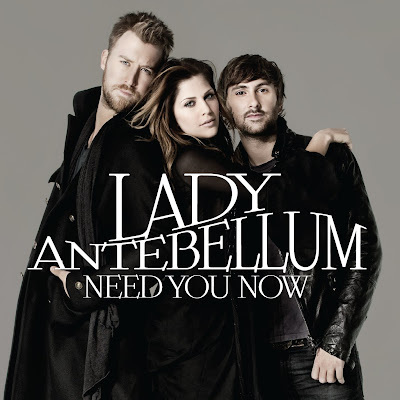 Lady Antebellum. This is a group wahai kekawan. Oh. Bukan seorang perempuan macam Lady GaGa. Merupakan kumpulan muzik country daripada Amerika. Terdiri daripada tiga orang ahli kumpulan. Charles Kelley (lead and background vocals), Dave Haywood (background vocals, guitar, piano, mandolin) and Hillary Scott (lead and background vocals). Suara mereka sangat harmonize dan best. Oh. Aku minat gila dengan lagu Need You Now. Ya. Need You Now merupakan my favourite song of the month. Last month. February. This song sangat romantic. Oh jiwang. The lyrics are truly meaningful. And the melody pun memang best gila. Haha. Lagu ni easy listening. Mesra telinga katanya. Kalau kau tak minat lagu jenis country pun kau boleh jatuh cinta dengan lagu ni. Erk. Mungkin la kot. Oh lagu Need You Now ni dah lama kot keluar. Aku je baru nak falling in love dengan lagu ni. Ya. Dah kuar single Need You Now ni since 2009. Lama la tu kan? Oh tidak... Ni aku ada salin lyrics dia. Layan okay. Aku selitkan jugak official music video lagu ni kat celah-celah entry ni. Check it out. Picture perfect memories, Scattered all around the floor. Reaching for the phone cause, I can't fight it any more. And I wonder if I ever cross your mind. For me it happens all the time. It's a quarter after one, I'm all alone and I need you now. Said I wouldn't call but I lost all control and I need you now. And I don't know how I can do without, I just need you now. Another shot of whiskey, can't stop looking at the door. Wishing you'd come sweeping in the way you did before. And I wonder if I ever cross your mind. For me it happens all the time. It's a quarter after one, I'm a little drunk, And I need you now. Said I wouldn't call but I lost all control and I need you now. And I don't know how I can do without, I just need you now. Yes I'd rather hurt than feel nothing at all. It's a quarter after one, I'm all alone and I need you now. And I said I wouldn't call but I'm a little drunk and I need you now. And I don't know how I can do without, I just need you now. I just need you now. Oh baby I need you now. p/s: Oh. You guys should listen to this music. Peace. Hehe.